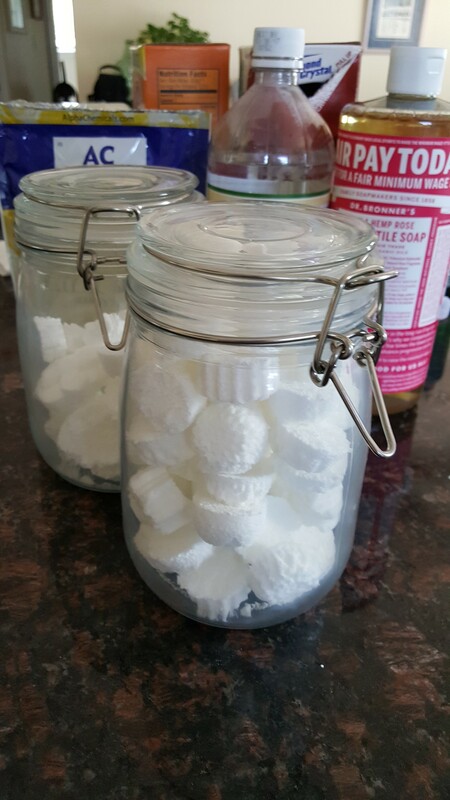 My essential oils guru posted a recipe to make your own dish detergent. So I thought it would be fun to give it a try and report back about it. I’m in love and they work GREAT! Since starting my health journey over a year ago, I’ve been taking wonderful supplements to help fix my body from the inside, but I also wanted to be healthy in all aspects of my life. So my first project was making my own borax free dish detergent tabs. So I’m going to share my experience with making them. First, get all your ingredients together. You can order them using the links below. I’ve also included a description of how each ingredient will help. 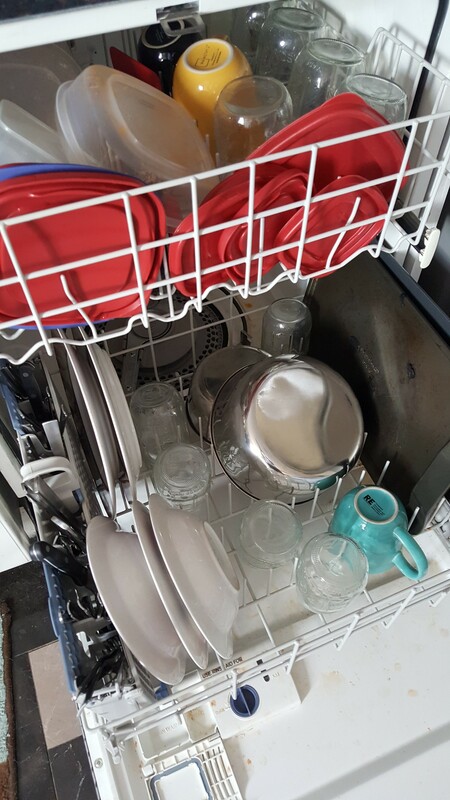 If you don’t have hard water, try leaving those specific to hard water out. Silicone Trays for Making the Detergent Tabs: I picked these over ice cube trays because they would fit in the little compartment of the dishwasher. An ice cube from a tray wouldn’t have fit. I also ordered 2 of them to make sure I made enough. Washing Soda: cuts grease, good all purpose cleaner, more alkaline than baking soda so balances the acidic properties of citric acid and vinegar, minimizes the effects of hard water. Baking Soda: cuts grease, good all purpose cleaner and good to have in the house for many other cleaning needs. Citric Acid: reduces effects of hard water, removes buildup, and it’s antibacterial. Kosher Salt: minimizes the effects of hard water. Liquid Castile Soap: extra grease cutting and cleaning power. White Distilled Vinegar: binds the ingredients together, good all purpose cleaner. Once you’ve ordered all your ingredients and supplies, grab a large mixing bowl. 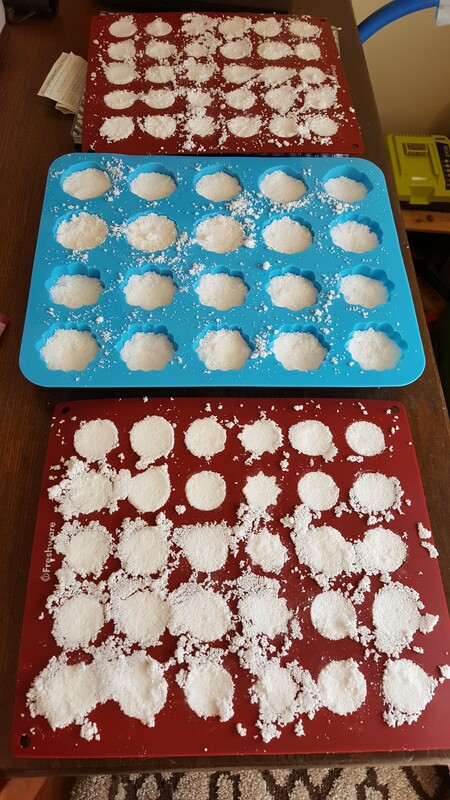 This recipe filled 2 silicone trays (and then some). 15-20 drops of Lemon essential oil (I also used Orange). If you need a place to buy oils, leave me a comment! Mix all the dry ingredients together in the large bowl. Slowly add in the vinegar. It will fizzle. This part was a little unclear so I kept slowly adding until all the ingredients were clumping and nothing was loose at the bottom of the bowl. NOTE: I didn’t use all of the vinegar. Then mix in the Castile Soap and Lemon Oils. Pack them into the silicone trays. Make sure you pack them down well. I used a spoon and scooped them into each section, then used the rounded part of the spoon to push it down. Take your time but don’t take too long. As the mix starts to harden in the mixing bowl, the harder it will be to scoop them into the trays. They need to be in the silicone trays before it starts to harden. Place in a sunny/warm location. They say to wait 24 hours, but I used a tab after 12 hours when I did a load of dishes that night. They seems hard enough. But I waited until 24 hours to remove them all from the trays. Store the tabs in an air tight container. NOTE: The blue silicone tray in the middle was for the leftover mix. I had to chisel it out of the mixing bowl which didn’t work well. When I went to remove them from the blue tray, they crumbled. So that’s why it’s important to get them in the trays before they harden. So you can see how much this recipe made. My next go at it will be to do half the recipe and see how much it makes. Stay tuned! 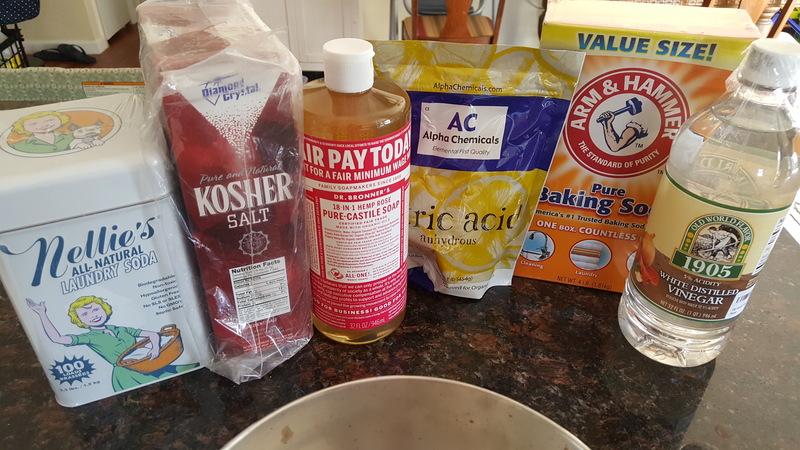 Since I am new to making my own dish detergent, if you have a recipe that you love, please share it. I’d love to try it and compare.